Is the “Beanpod, Root and Tyler” brand names? My favorites are always the pumpkin scents for fall. I need to go and get some! I’ll have to smell around your house to see which ones I like best. 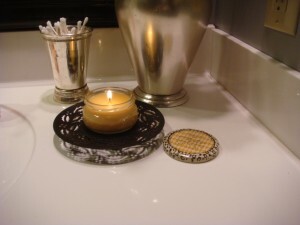 My favorite scents are the cooking ones - I have a great freshly baked cookie candle from God knows where, but it’s so good! I’m going to miss it when it’s gone. 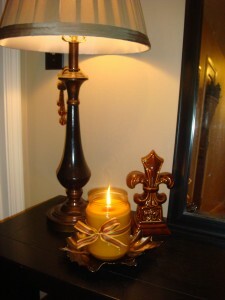 I love, love, LOVE candles! My fave is usually a citrus based one or good old vanilla. I have a leaf plate that looks almost exactly the same as yours, and yep, it’s got a lovely candle sitting on it! I love Diva. I need to get the vanilla orange from that brand. I love it. It is hard to find where I live. I love anything vanilla. 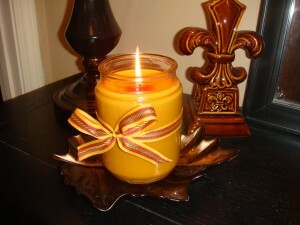 I love fall candles!! I wait all year to buy up the apple cinnamon candles and horde them after the holidays when they aren’t so readily available. I bought the $10 mulled cider pack of candles from Walmart and they smell so warm and cozy. 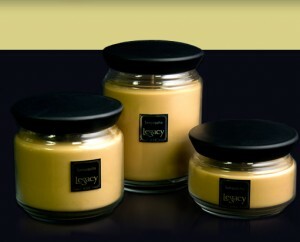 Tyler candles are amazing! Plus Leopard lids! Right now anything Apple, Cinnamon or Pumpkin makes me happy! Angel Kiss by Goose Creek (the glass containers with wooden lids are so beautiful) and Winfields in Lawrence carries a line that I think might be called Swan Mtn or Swan something. I live most of thier scents but have hazelnut going right now. It’s been hard to find candles that don’t make me sneeze or give my husband a headache so I’m so glad I found these. Snickerdoodle or a good pumpkin scent is good too. Smells so cozy and homey. I had a foodie friend tell me once that when giving a dinner party you shouldn’t burn competing food scented candles, that it should be a clean, maybe outdoorsy scent. She suggested a fir (evergreen?) scent from Yankee but I had the sneezing problem. I haven’t found a good substitute yet. Still on the hunt! My favorite are the Yankee Candle Fall scents. The Harvest Mix is SO yummy! Stop by my new blog and say hello. I would love some visitors. 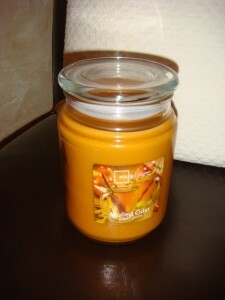 My favorite scents for fall are Warm Apple Crisp, Pumpkin Pie and Sugar Cookie by Gold Canyon. 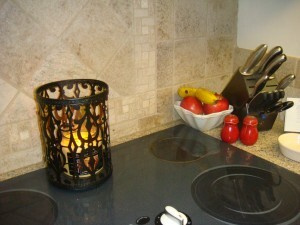 I love how the fragrance fills my home and makes it feel cozy. I also love to burn something like Clean Sheets or Ginger lime on cleaning day or something like Pinapple Coast or Pomegranate to make the house feel bright and cheery. I love candles too. And your right. It’s something about the season and all the color that could just make me go broke buying these beautiful candles! Thanks for sharing! My Yankie candle Farmer’s Market is almost out - time for new ones! Thanks for doing all the sniffing for me. I am interested in smelling that Mulled Cider one. I really like the Spiced Pumpkin by Yankee but I am not into the pricetag.